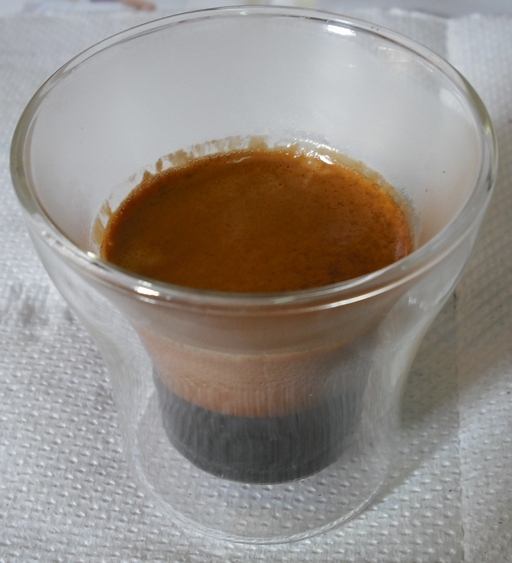 Year 2008 is the year I discovered the Best Espresso extracted in Malaysia. Drum rolllllllllingggg…. Introducing… The Epic Blend. Simon from Sibu sent me 2 bags of Epic Blend from Five Senses. I have tried a few of their blends like the Brazil Blue Blend, 24/7 Roast and Alto’s Blend courtesy of Simon. The Epic Blend is the most expensive blend from Five Senses. At AUS 50.00/kg, convert to our poor Ringgit, it came up to around RM165. Including shipping charges of around RM35, that would be about RM200. 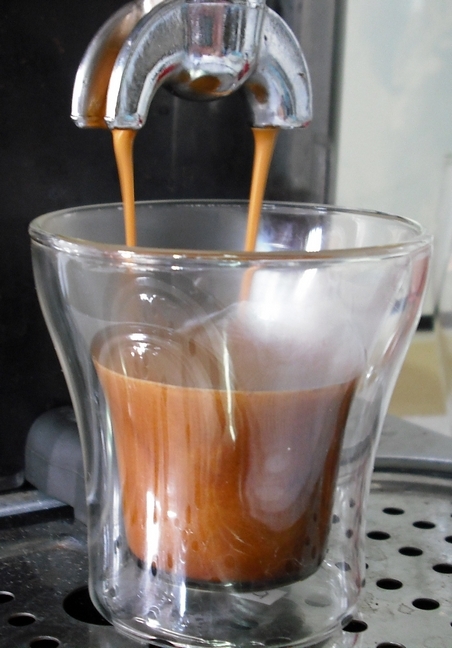 1kg of beans will make you around at least 50 cups of single espressos or cappuccino… which is about RM4/shot. Still much cheaper than Starbucks. But now, I have to say I’ve just experience the best espresso in Malaysia. It was excellent… god-shots. And the beans were only 3 to 4 days from roasting. Really fresh. And the taste… sweet. Yup, no hint of bitterness. It was sweet with subtle acidity. I enjoyed it over the whole week and at the last day, which makes it about 10 days old, it was still sweet when I made it a ristretto. This is truly the best espresso blend I’ve tried. It is excellent for espresso, ristretto and americano. On the other hand, it was not that great with milk. The cappuccino I made with it was thin. So far, I have to say for cappuccino, Highlander’s Supremo Blend is still the best. Ok.. back to the Epic Blend. 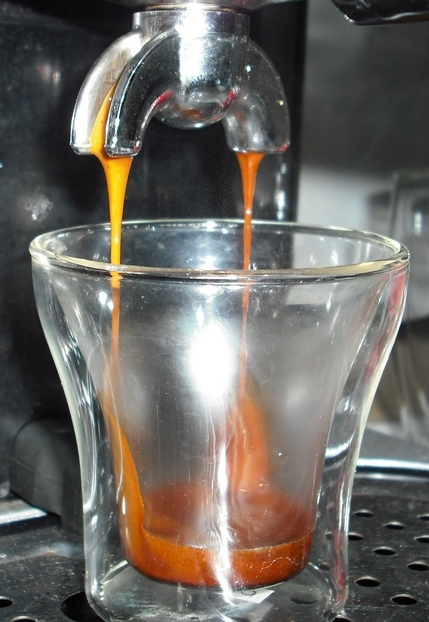 A 30 seconds extraction of ristretto. About 23ml, single shot. 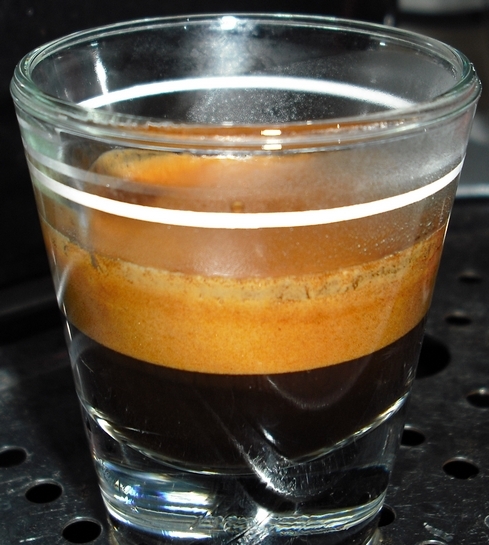 Extracting another double ristretto on my Gaggia Baby D.
Double Ristretto in a Bodum-doubled-wall glass. This entry was posted in Americano, Bodum, Cappuccino, Coffee, Coffee Beans, espresso, Gaggia, Malaysia, Ristretto on July 22, 2008 by KF Chan.